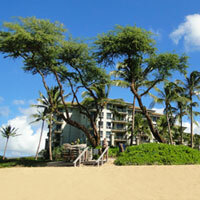 Maui Restaurants in Lahaina: We Stumbled onto Some Good Ones! 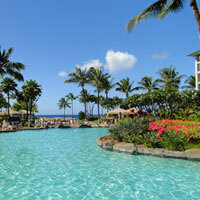 Since we were staying in a hotel on our last Maui vacation, we tended to eat in Maui restaurants for almost every meal. Often, we didn't really put much thought into where we were going to eat, and just ended up randomly trying whatever eatery caught our eye. This haphazard approach to eating served us well, however, as we stumbled onto some rather decent Lahaina restaurants this way. Have you stumbled onto a restaurant in Lahaina that you loved? Click here to tell us all about it! The first time we ever made a stop in Lahaina, Maui was for our Atlantis submarine adventure, which departed from Lahaina Harbour. We arrived early enough to fit in a late breakfast, and as we wandered along Front Street checking out the available Maui restaurants, Moose McGillycuddy's caught our eye. This pub and cafe ended up being a great little find for a filling breakfast. The portions were HUGE and, best of all, our meals didn't cost much!! The decor in this place is pretty cool too... There's a motley collection of items covering much of the ceiling and walls - there's so much stuff, you'll never have time to look at all of it! As we sat in our booth at a second floor window, we also enjoyed the view of all the action on Front Street below us... ok... maybe not a lot of action in the morning... but still... Front Street is so full of colour and interesting people, that it's honestly a great spot for people watching at almost any hour of the day! Moose McGillycuddy's is also a pub - in the evenings they provide music (either live, or via a DJ), and are reported to have great drink specials! Although we didn't get a chance on this trip, we've made a mental note to come back sometime for after-dinner drinks, dancing and people watching. We think it would be a cool place to just hang out in the evening... especially if you're traveling with friends! The next time we stopped in Lahaina, we were in search of a Maui restaurant for a quick lunch before we headed out to explore more of the island. We ended up at a little Italian place on Dickenson Street called the Penne Pasta Cafe. It's a little ways away from all the action on Front Street, but still not too far to walk if you want to head over there later. The decor inside is very simple - diner-style, really... and since it was such a beautiful day, we elected to eat outside on their charming patio and enjoy the Maui weather. It ended up being a good place to go for a tasty no-fuss meal that didn't cost too much. If you go here, I highly recommend you try their grilled garlic cheese bread... it's super good! Click here to tell us all about YOUR favourite Lahaina Maui restaurants! 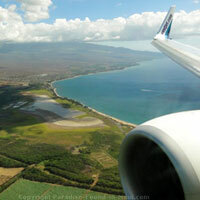 2) Find out why we thought that Lahaina, Maui is "The Little Town That Could!" Have You Found a Gem in Lahaina? If you have stumbled onto a great restaurant in Lahaina, please share it with us! Whether it's the perfect place for a quick, inexpensive breakfast, or a high-end place for an extra special night out, we'd LOVE to hear about it!